Location: His Father's farm in Kombo Munyiri Sub Location, Mberee South, Embu County. 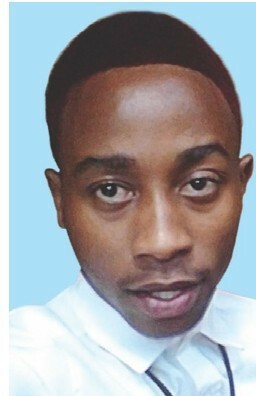 It is with profound grief and humble acceptance of God's will that we announce the sudden death of our son Laban Murimi Muriithi, which occurred on 26th March 2019 at Thika Level 5 Hospital after a short illness. He was son of Patrick Muriithi Muturi (Transnational Bank) and Emily Sau. Brother to Calvin Muriithi. Grandson to Phineous Muturi Mbiti, Ruceta Muturi and Agnes Muturi. The late John Masaka and PetroniIa Masaka. He was nephew to Patterson Muturi (formerly of Barclays Bank).Amos, Lucy,Faith,Mary,Irene, Kibara, Esther, Njeru, Mitaru, Regina, the late lreri, Tina, Evence, Anntonettee, Carol, lsdol, Charlie and the Late Paul. He was cousin to many. The body will leave Gakwegori Funeral Home on 5th April 2019 at 9:00am for burial at his Father's farm in Kombo Munyiri Sub Location, Mberee South, Embu County.